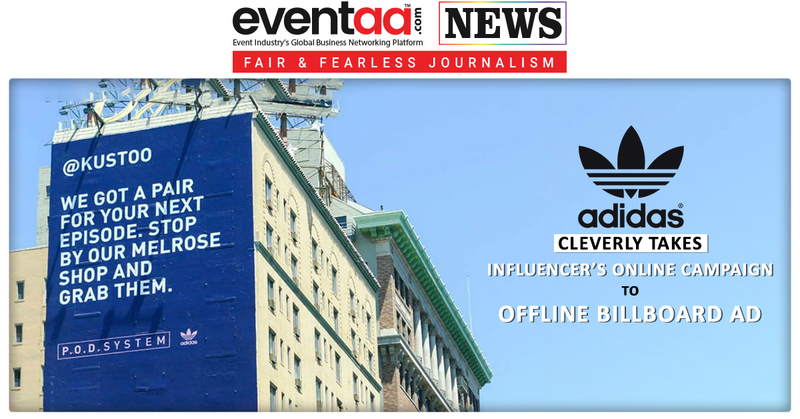 Adidas may be the first company to take their influencer marketing to billboard ads. They set an example how to integrate online and offline marketing with influencer involving in it. Adidas Originals wanted to work with influencers to hype the launch of its P.O.D. shoe but at the same time want to take ad from mobile screen to a big screen. The brand came up with a clever campaign, they took influencer’s social media message branding their product to a billboard advertisement. For instance, user Jacques Slade (@kustoo), was told to grab a pair for his next unboxing episode, while Tyler Glickman (@t_glick) was congratulated for recently getting married. Adidas known for experimenting with personalized marketing to engage with an audience this campaign proved to be another benchmark.